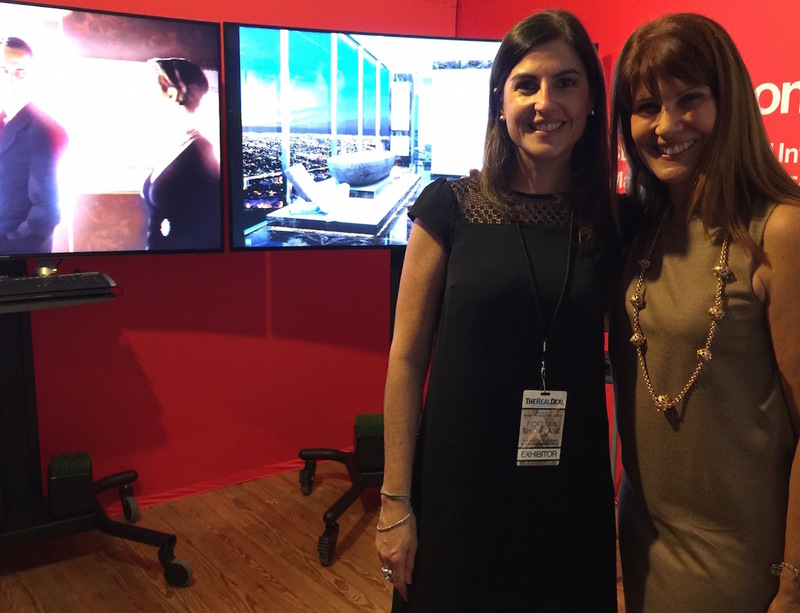 As you all know, ArX Solutions was an exhibitor at The Real Deal’s 2015 South Florida Forum & Showcase on Oct. 15. 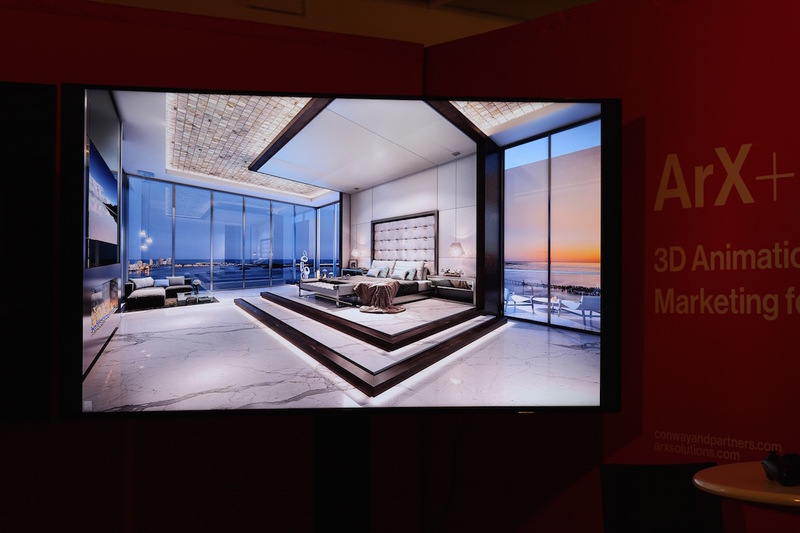 The event was extremely successful, and we were pleasantly surprised to see that almost every booth at the forum & showcase had at least one rendering done by ArX. 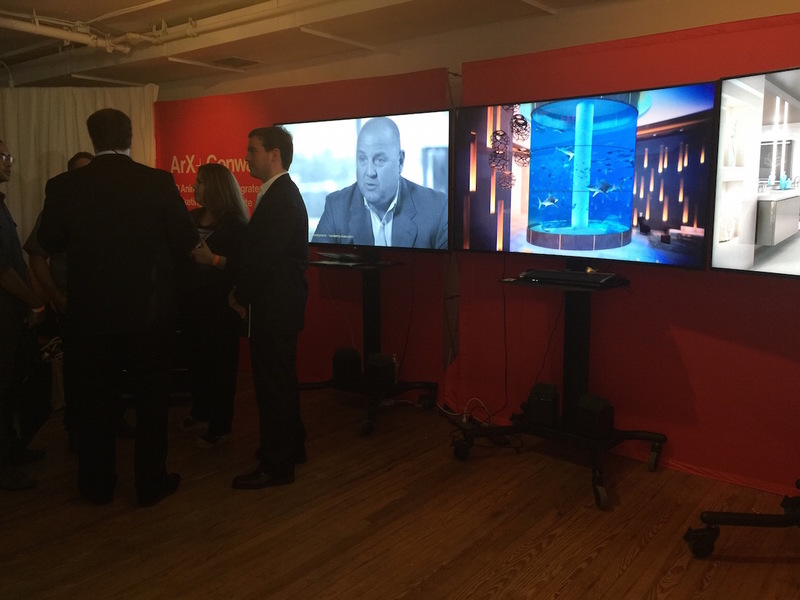 Our work was beautifully displayed in the Privé, Turnberry, Trump, Related and Paramount booths, among others. 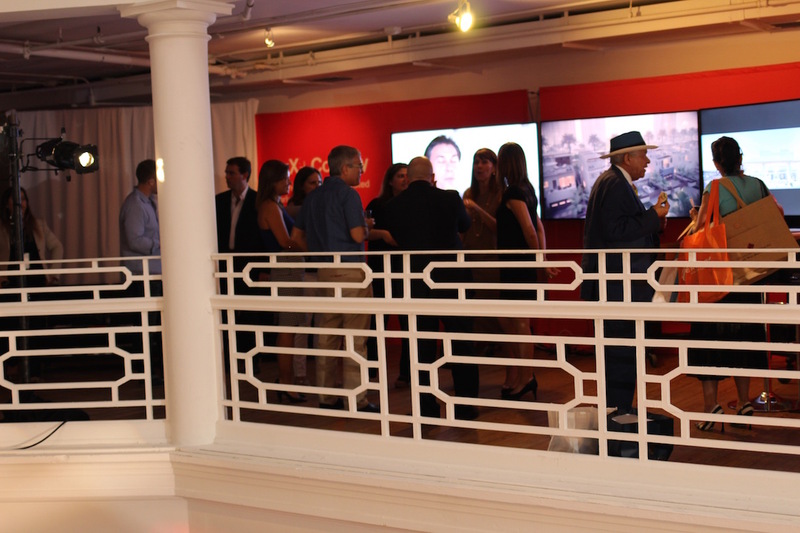 The Real Deal event, which was held at the Moore Building in Miami’s Design District, was a great opportunity to say hello to good old friends and to present our latest product, ArXSolutions 360. 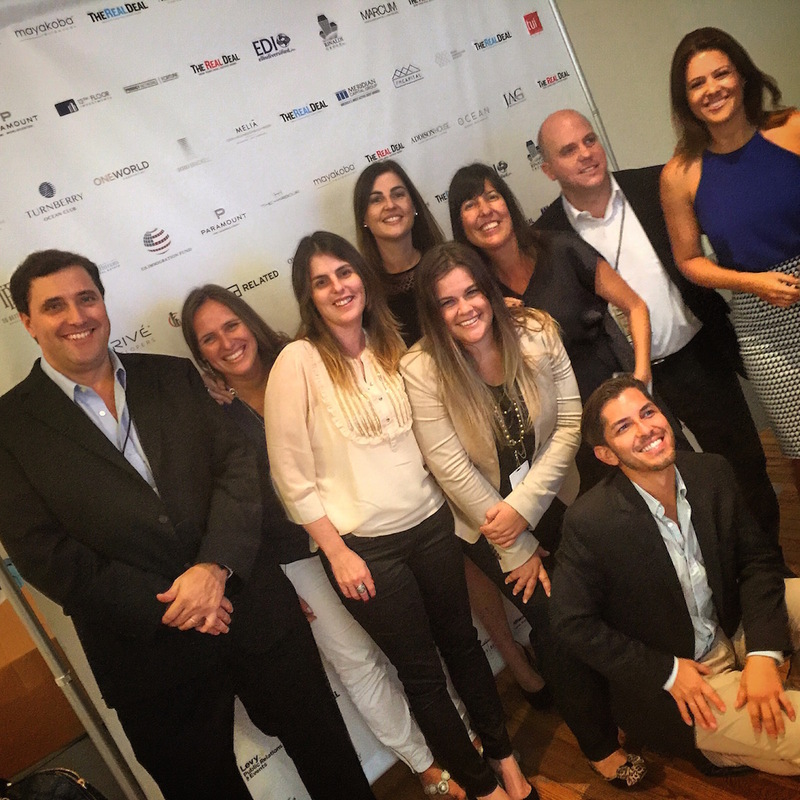 Just like last’s year edition, we were honored to be a part of one of the most important South Florida real estate events and to have the opportunity to invite our clients to see our products and just have fun with them. Not only is what we do a great marketing and sales tool, but also a very fun experience. 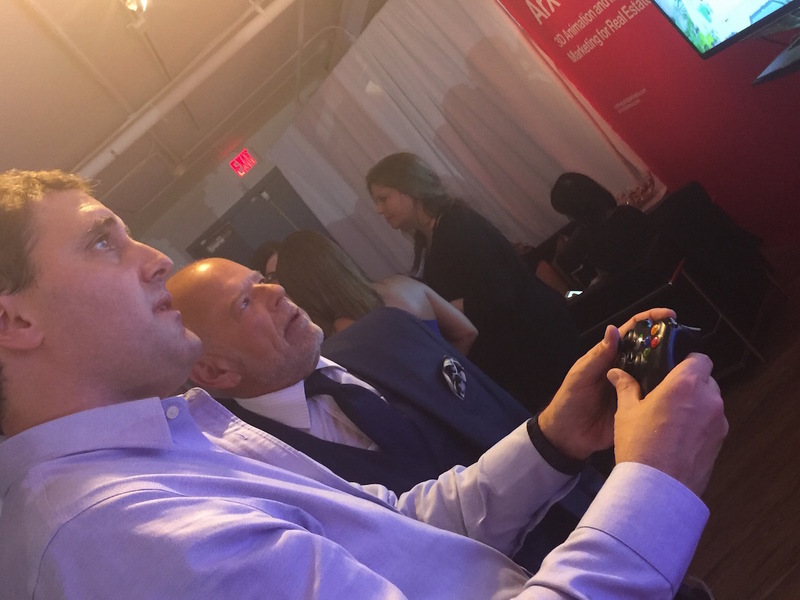 Stay tuned to learn more about ArXSolutions360, and scroll down to check out the fun moments that we had at this impressive event! 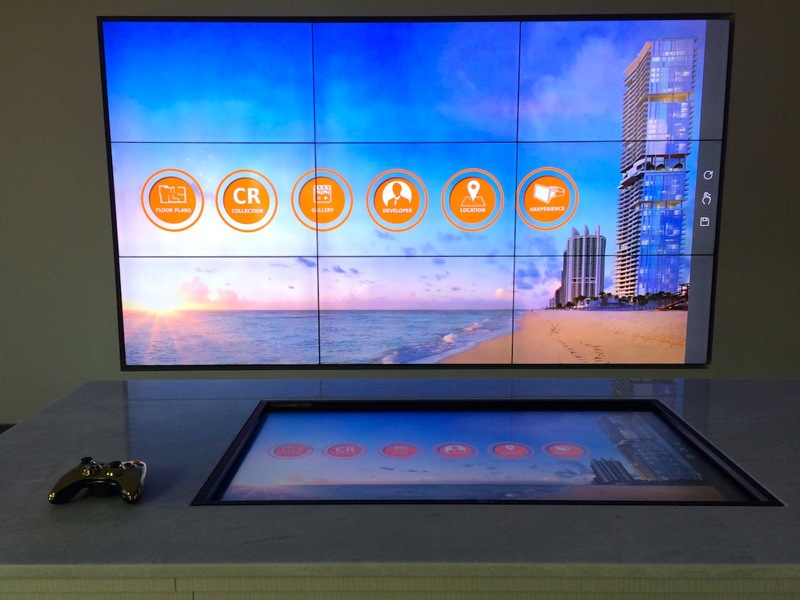 Real estate visitor centers are never going to be the same thanks to the Miami-based Turnberry Ocean Club, who just opened its state-of-the-art sales gallery in Sunny Isles Beach. 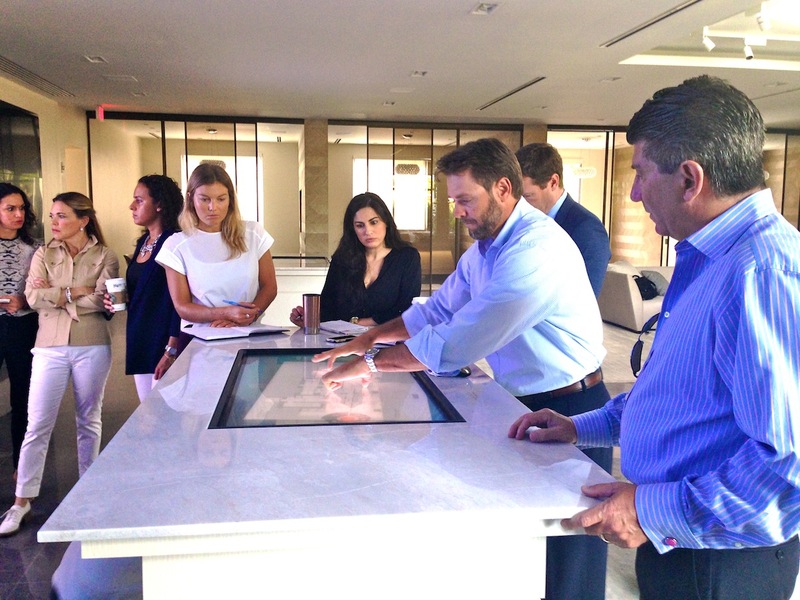 ArX Solutions recently completed the last few details on the Turnberry Ocean Club sales gallery and we are excited to see how this innovative project is going to revolutionize the real estate industry. 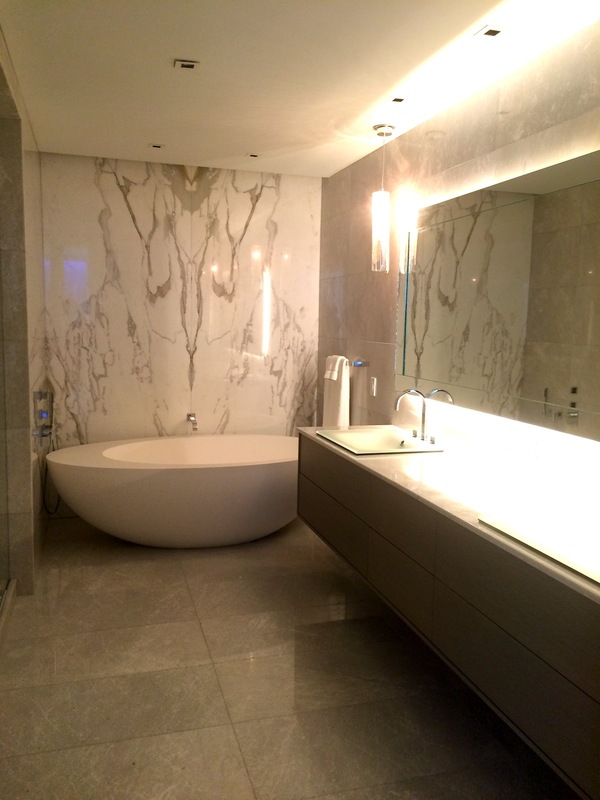 Getting to this point involved 56 renderings, three animations, the addition of the 3D interactive ArXperience and four months of teamwork and cooperation between all parties involved, including: the interior design team led by Janice Clausen and Turnberry’s IT team. Turnberry’s main goal throughout the collaboration with ArX Solutions was that we create a program that allows all of the materials that we produce to be accessible via one platform. 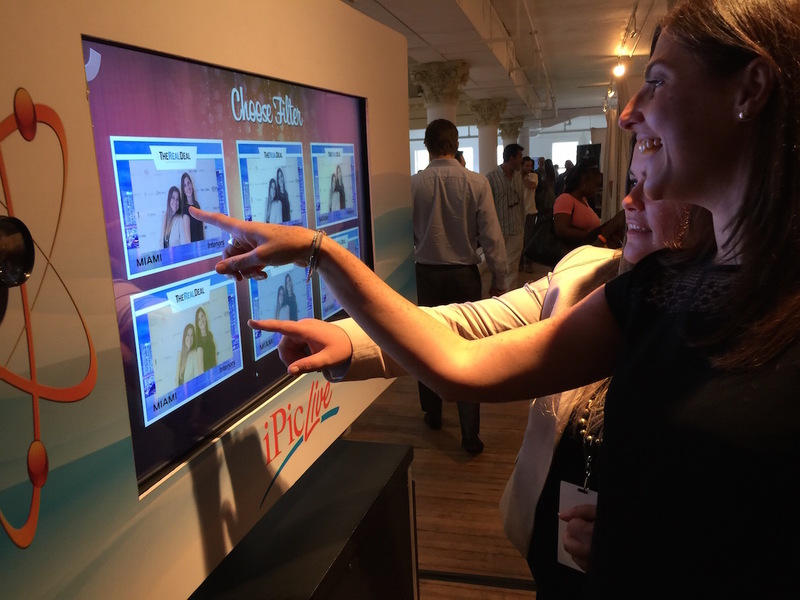 As a result, we developed the ArX multitouch interphase, which will be a viable tool for sales centers in any part of the world. 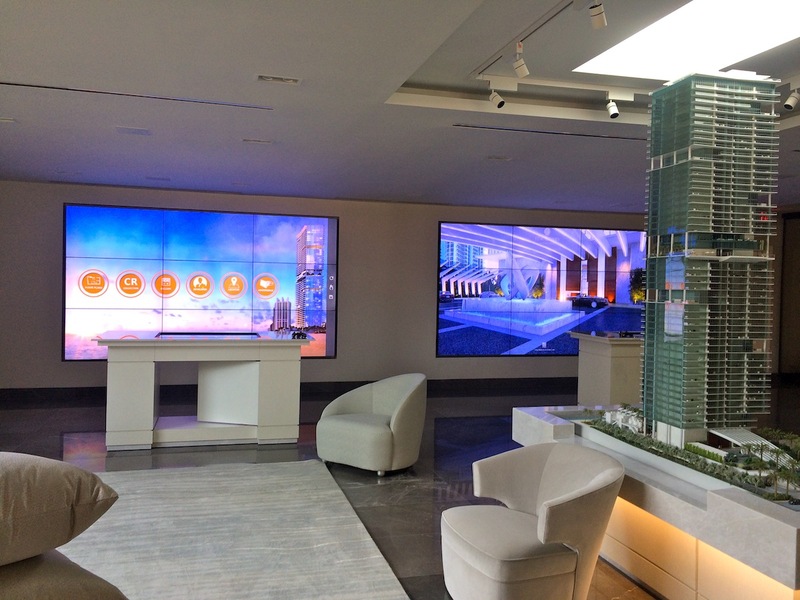 The software application allows end users to view all 3-D renderings, animations and the 3-D interactive ArXperience in one place, raising the bar of how sales centers will operate going forward. 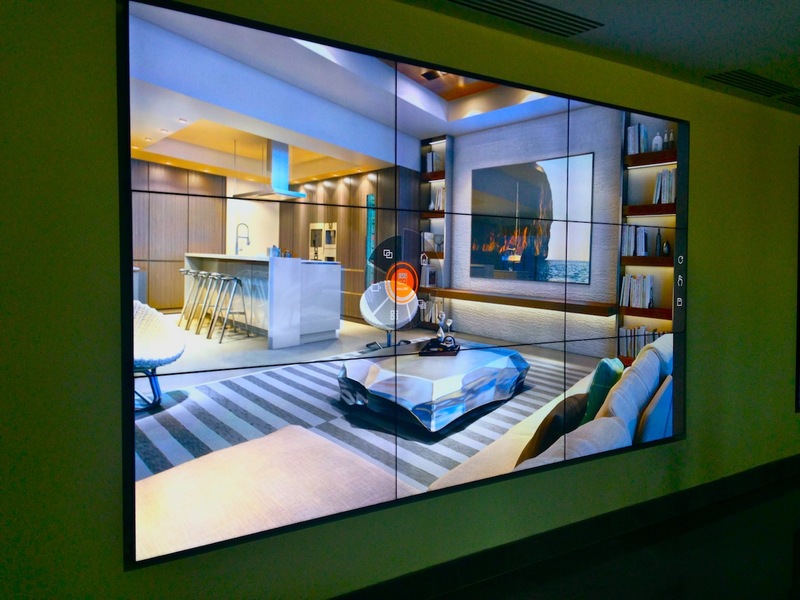 Although ArX Solutions was involved in all technical aspects of the project, we also had a hand in the interior furnishings of the sales center as we met with the design team to discuss all specifications for the screens and devices that were going to be mounted on the furniture. In an effort to make things easier for our clients, ArX Solutions and Turnberry’s IT team handled the process of acquiring all of the digital equipment for the sales center and fully preparing them for installation. 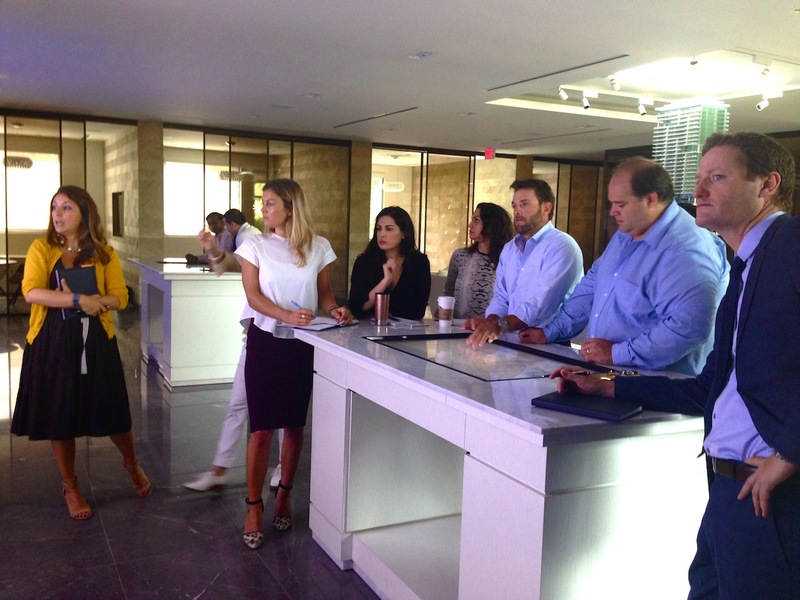 Before the opening, Patricio Navarro, CEO and co-founder of ArX Solutions and Alejandra Buchannan, VP of sales and project coordination at ArX Solutions, personally trained the brokers and sales team on how to use all of the ArXperience and ArX Interactive devices to optimize their functions. 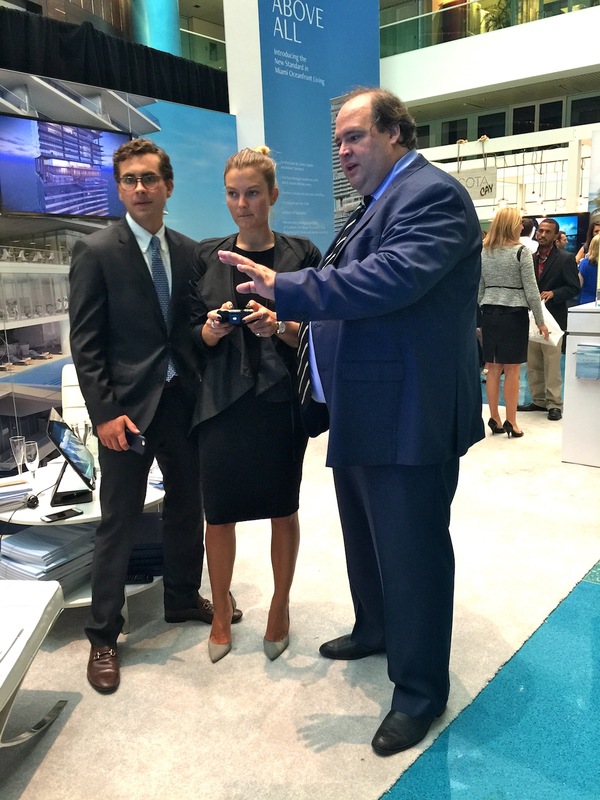 This interactive, multi-touch platform is a mobile device that can be taken on personal visits or to fairs and exhibitions, making it a best-seller among real estate brokers and developers. 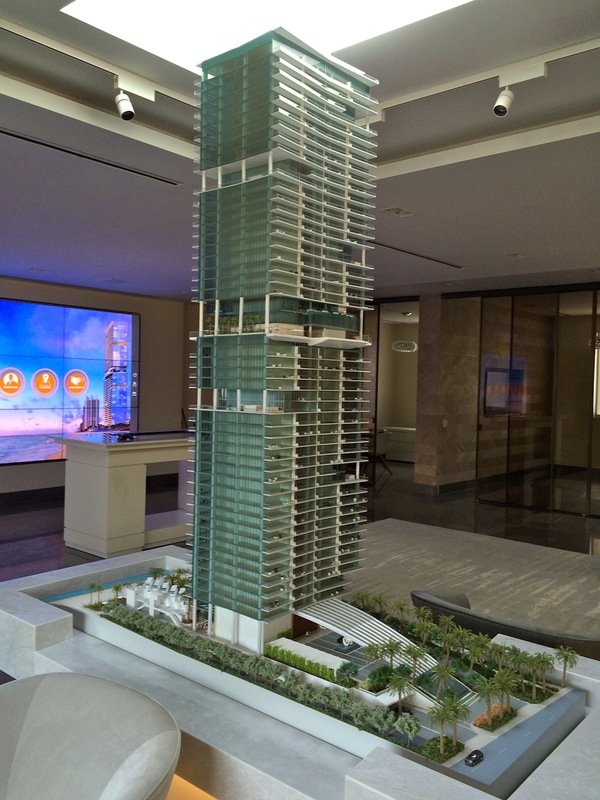 Having completed our first high-tech real estate sales center for Turnberry Ocean Club, it is clear to see that this is the direction real estate marketing and sales are going in the very near future. 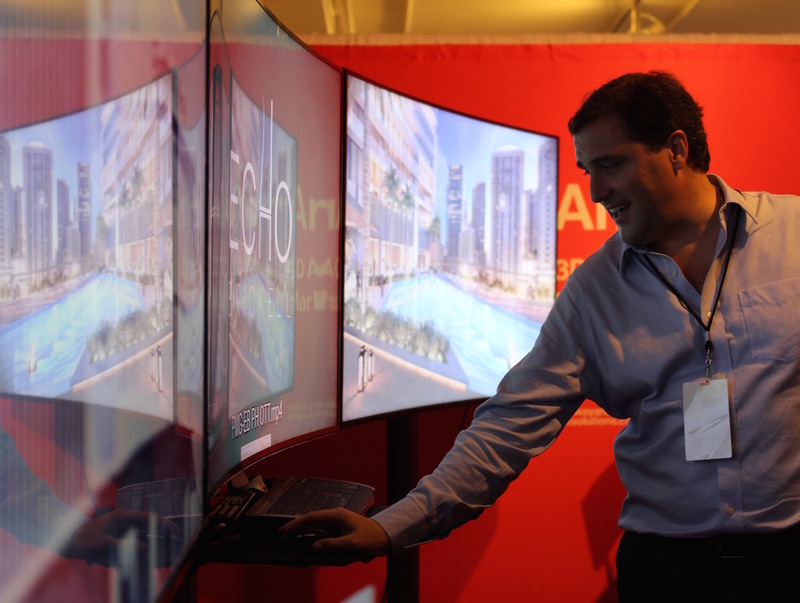 ArXperience can be used with the latest fully immersive technologies (i.e. 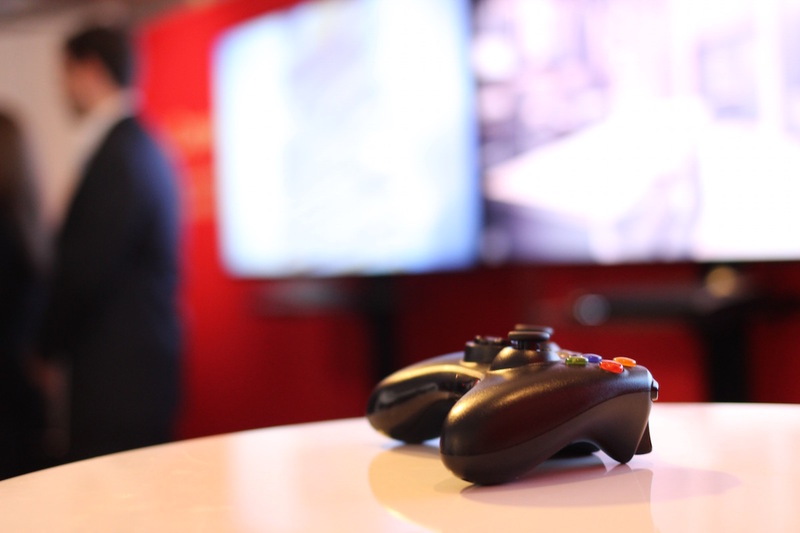 Oculus Rift) or displayed with the most sophisticated display technologies (dual 80′ 4k curved TV). You can learn more about all of the virtual reality solutions that we offer by visiting our website. 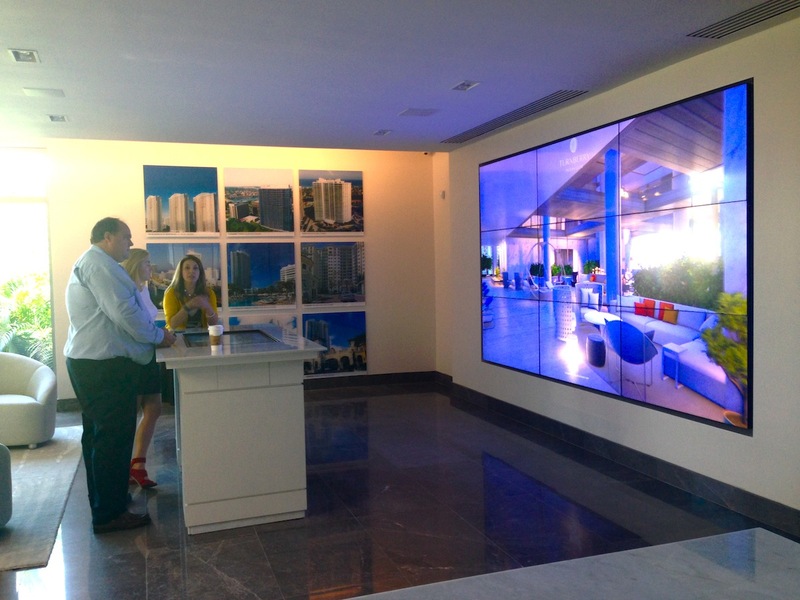 Are you wondering how Turnberry Ocean Club’s sales gallery looks? 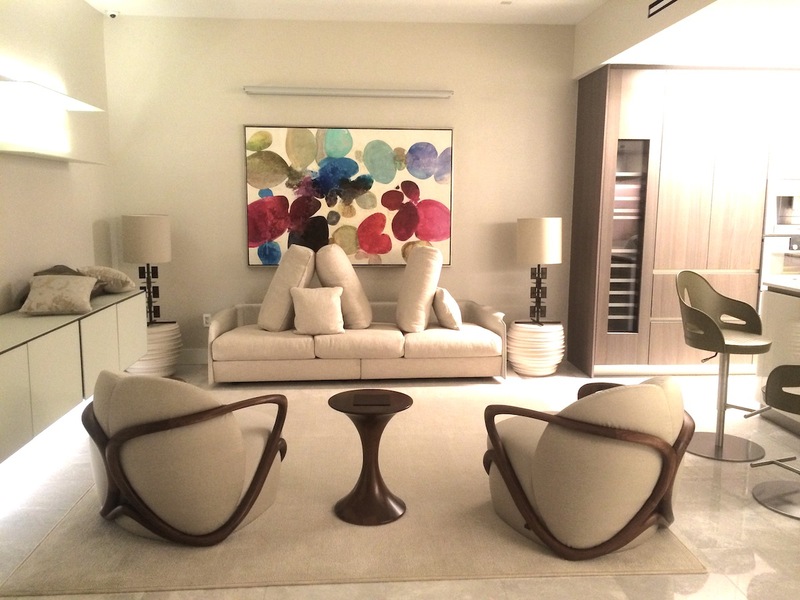 If you are in Miami you can visit the sales gallery or keep scrolling here for a sneak peek. 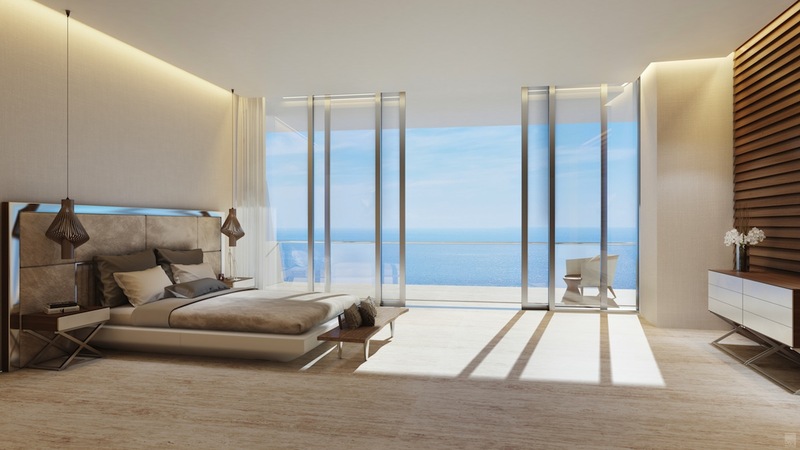 20 July, 2015 Leave a comment 3D renderingsArX SolutionsArXperienceArXperience 3DCarlos ZapataEDSAInterior DesignJanice ClausenLuxury Real Estate in MiamiLuxury Real Estate in South FloridaTOCTurnberry Ocean ClubWho did the renderingWho did Turnberry Ocean Club rendering? Great 3-D renderings don’t happen by accident. They are possible thanks to the successful teamwork that we achieve with our clients. 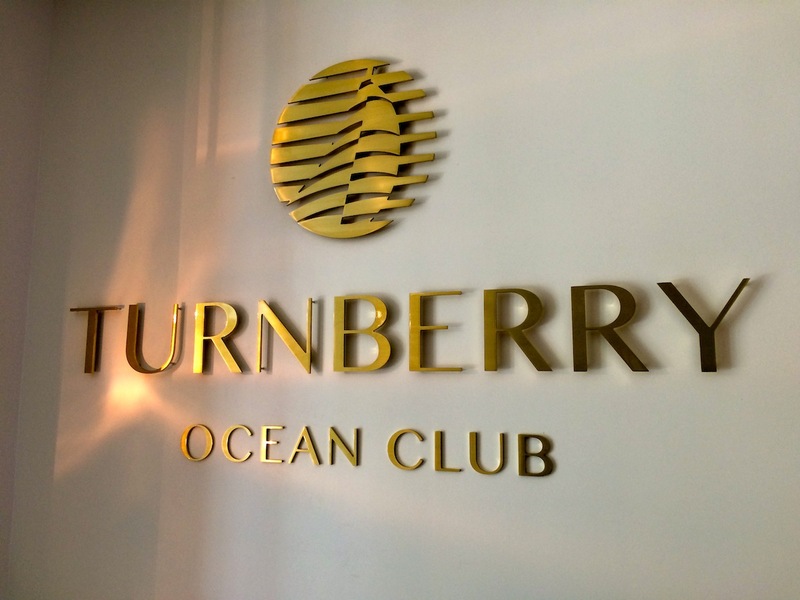 That is why we are exceptionally proud of our work with Turnberry Ocean Club. It has been the result of months of cooperation in which we have been working with the architect of the project, Carlos Zapata, the interior designer, Janice Clausen, and Richard Hallick, the associate principal of the landscape firm EDSA. 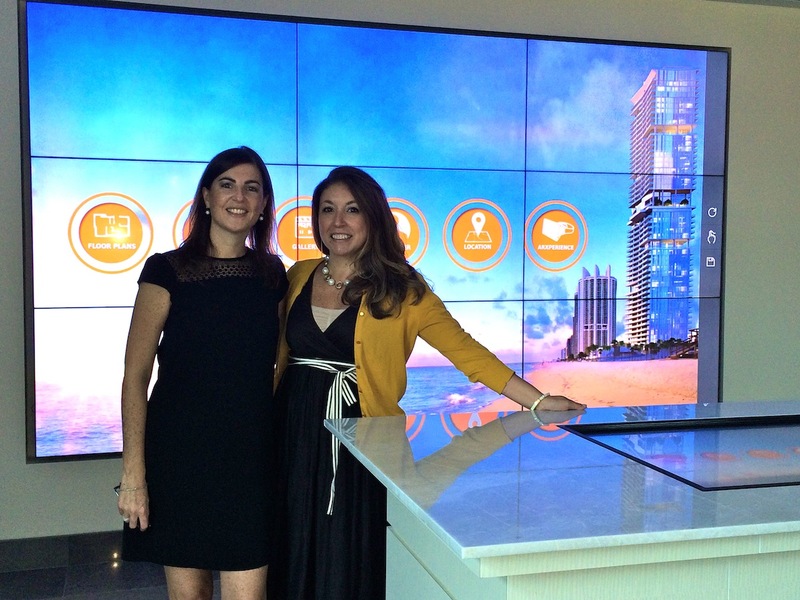 Alejandra Buchanan, ArX Solutions’ VP of sales and project coordination, traveled to New York to meet in person with Mr. Zapata and his team to select together the best angles to showcase of the beautiful 54-story building and to discuss other important details that come with the design of the project. The amazing interior design you can appreciate in the renderings also came together after working very closely with Janice and her team, who gave us direction and shared her vision for the interiors of the project. We made sure that her selection of color pallet, materials, furniture and other details was reflected in the renderings of this amazing project. Last but not least, it was a privilege to work so closely with our old friends from EDSA, with whom we have collaborated many times before. Additionally, we held regular meetings with the Turnberry Ocean Club team to ensure we captured the desired concept for the project. 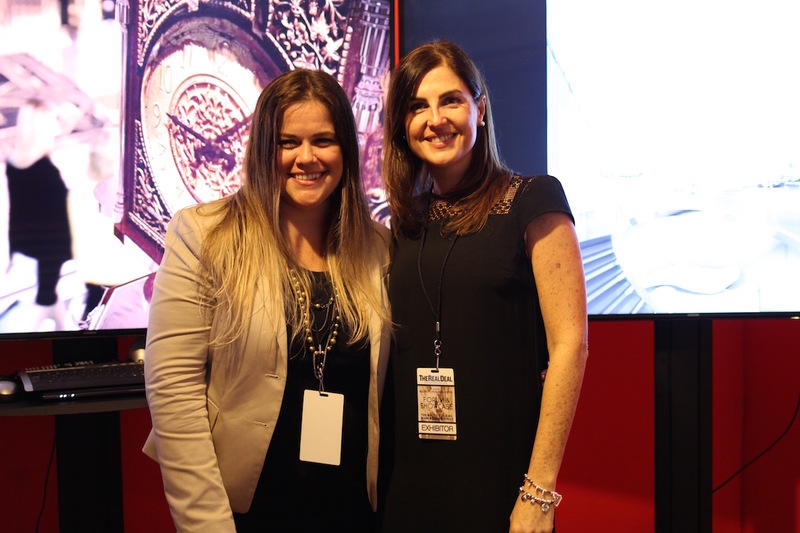 As result, we came up with more than 50 renderings, animations and 3-D interactives that were the base to create all the solutions that you will be able to see in their sales gallery and that will take you to the full ArXperience. To see more renderings, please visit our web and stay tuned for more news about this project. 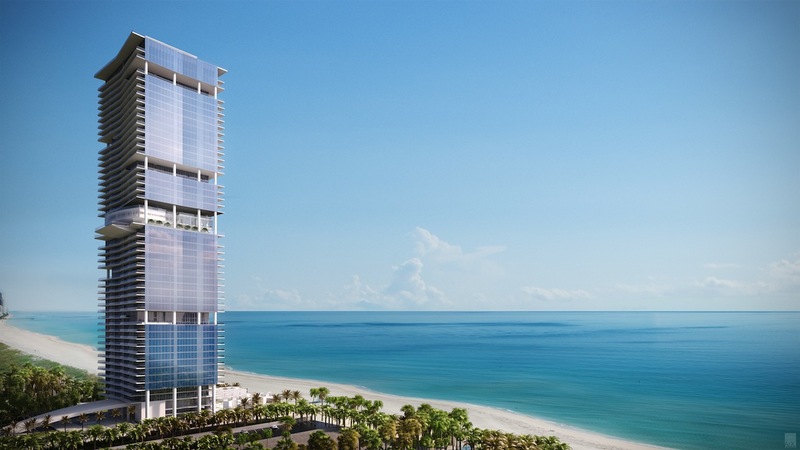 Turnberry Ocean Club is a luxury tower that contains more than just efficient floorplans and innovative design, it provides a lifestyle and a level of service that is unrivaled. 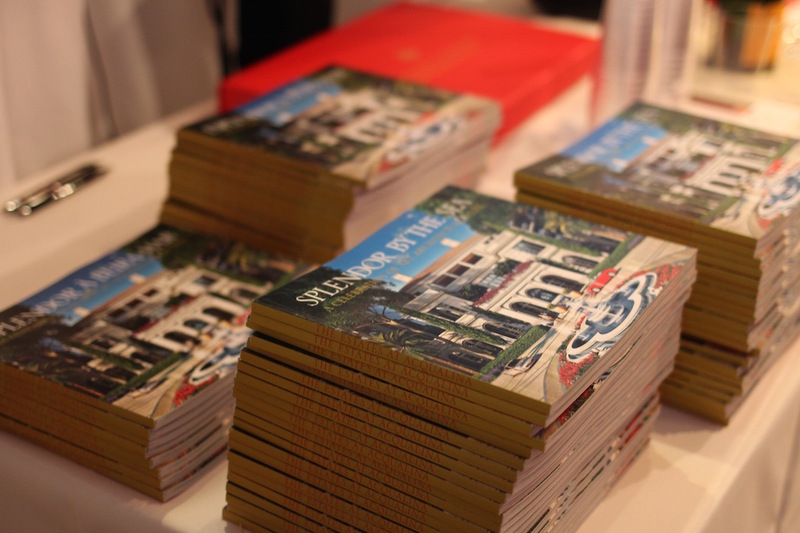 We worked diligently to deliver that message to potential buyers through our renderings. “This groundbreaking design is both modern and timeless. Intelligent yet simple. It inspires a sense of openness that comes from what you feel, not just from what you see,” writes the developers on the project’s website. 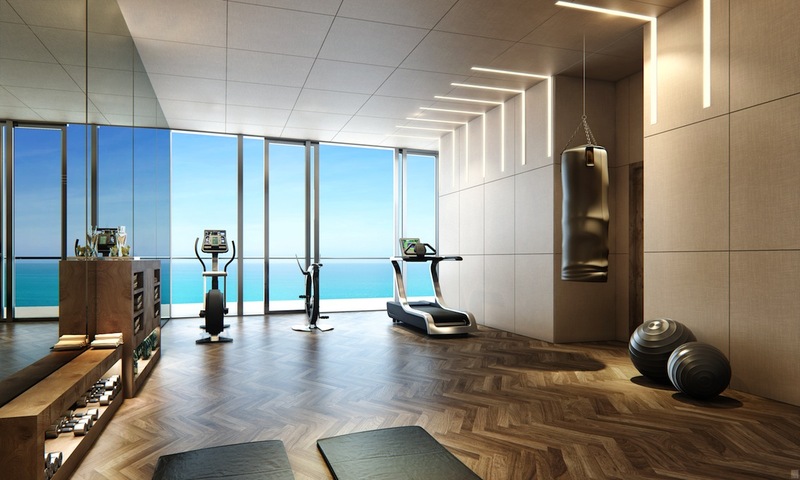 With 54 stories along prime beachfront in Sunny Isles, the Carlos Zapata/Robert Swedroe-designed high-rise masterpiece embodies the energy, architecture and opulence of Miami’s current “it” status. “The luxury skyscraper on a Collins Avenue address embraces the apex of Miami’s modernity movement: an amalgamation of glass, steel and towering white pillars intersected by sleek protruding balconies on all sides—with a maximum of four units per floor—as well as a duo of cantilevered 30th-floor swimming pools and an al fresco fitness center overlooking the ocean,” says the website. 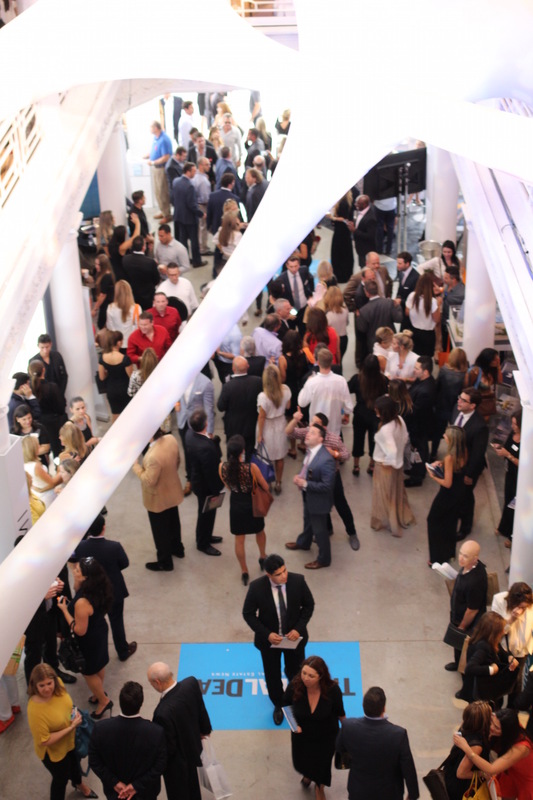 Last week we were among the more than 2,000 real estate enthusiasts that mingled at The Real Deal’s Broward Forum and Showcase at the Design Center of the Americas in Dania, Florida. 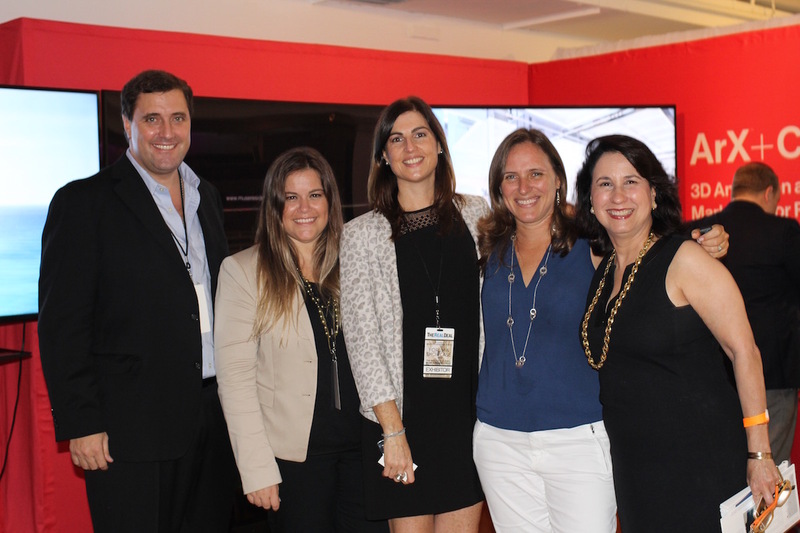 In the booth of our Turnberry Ocean Club friends, we showcased the most advanced technology in 3-D animations and renderings in products that we have been designing for them. 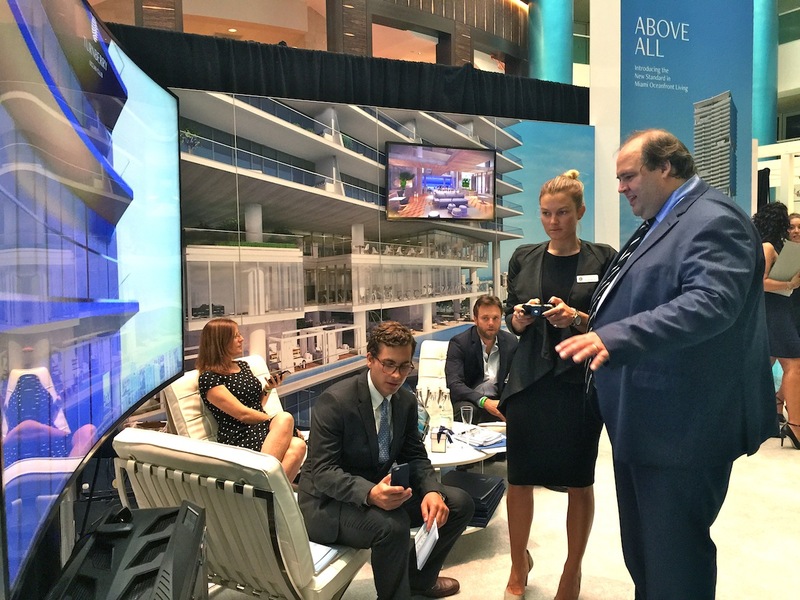 Patricio Navarro, President of ArX Solutions, had so much fun showing everyone how the Real Time 3-D virtual tour of Turnberry’s Sky Club (floors 30,31 and 32) worked. Like a videogame, with the help of a remote control, he took the guests who stopped by through the amazing architecture and interior design of this ambitious project. 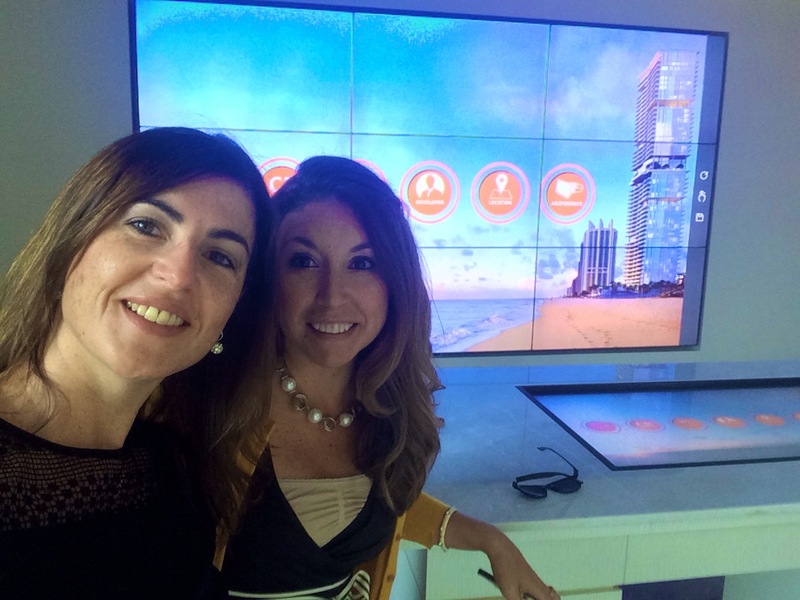 While our Principal in Miami, Gonzalo Navarro, greeted friends and clients, Alejandra Buchanan, the VP of sales and project coordination, also showed how the touchscreen we developed for Turnberry Ocean Club displays the amazing 3-D renderings we created for them. 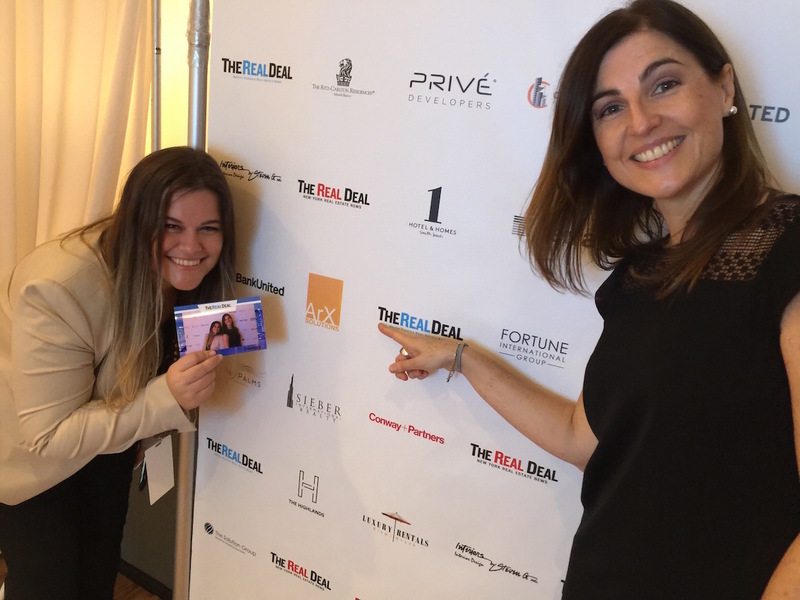 Recently we were in one of the most important events for the real estate industry in South Florida: The Real Deal’s South Florida Forum and Showcase. 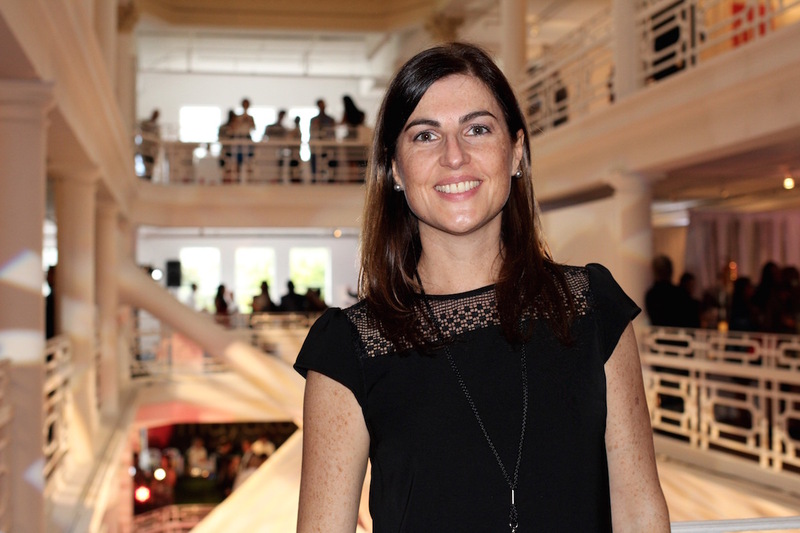 We had the opportunity to mingle with friends and clients, as well as launch, in front of more than 4,000 real estate enthusiasts who flocked to the beautiful Moore Building in Miami’s Design District, our latest and most avant-garde product: ArXperience 3D. This Oculus Rift simulation was designed specially to take our clients’ prospects into their new and luxurious home even before it exists. Can’t your prospects picture how spacious their living room is going to be? Or how amazing is the view of their new penthouse will be? No problem! With ArXperience your prospects will be able to virtually walk into their new home, see the amazing details of the kitchen or have a glimpse of how many shoes are going to fit in their walk-in closet. 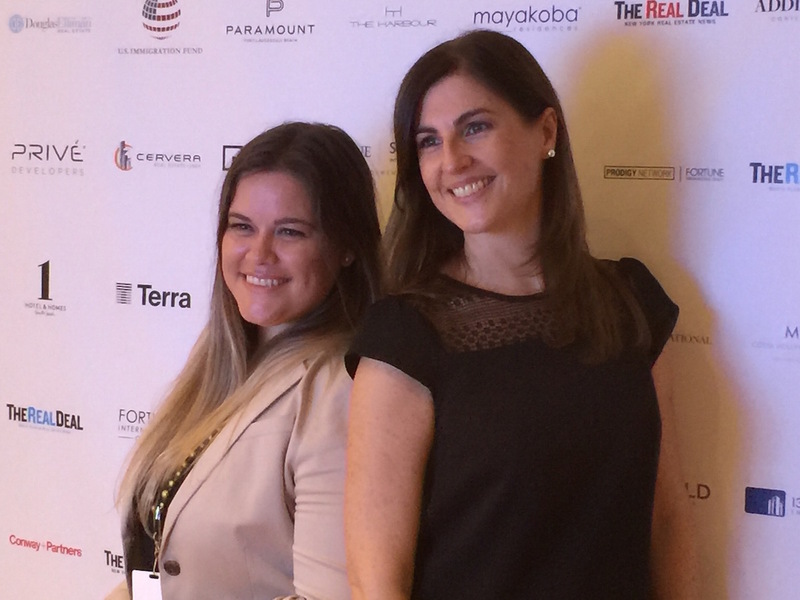 We presented ArXperience among major developers like PMG, Rilea, Trump Group, Fortune International Group, Key International, the Related Group and Terra Group and brokerages including ISG, Fortune Realty, Douglas Elliman, Cervera Real Estate, One Sotheby’s International Realty, One World Properties and Opulence International Realty. Our booth was on the first of the four floors of the historic venue, which includes “Elastika”, an amazing installation created by starchitect Zaha Hadid in its atrium.Want to have the ArXperience first hand? Let us know! We will be happy to take you through this amazing digital journey. But now, look through our day in The Real Deal’s South Florida Forum and Showcase. A view of Miami’s Design District, where the Moore Building is located. 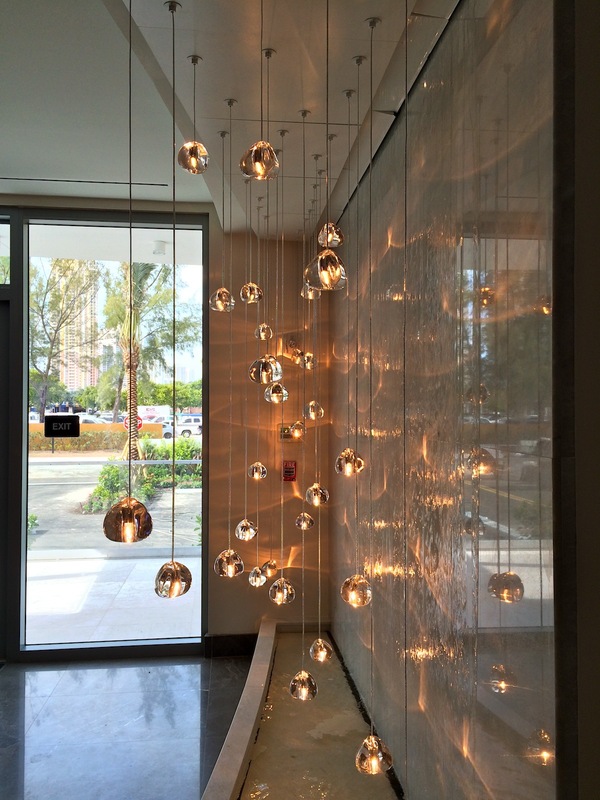 The Design District, one of Miami’s gems. 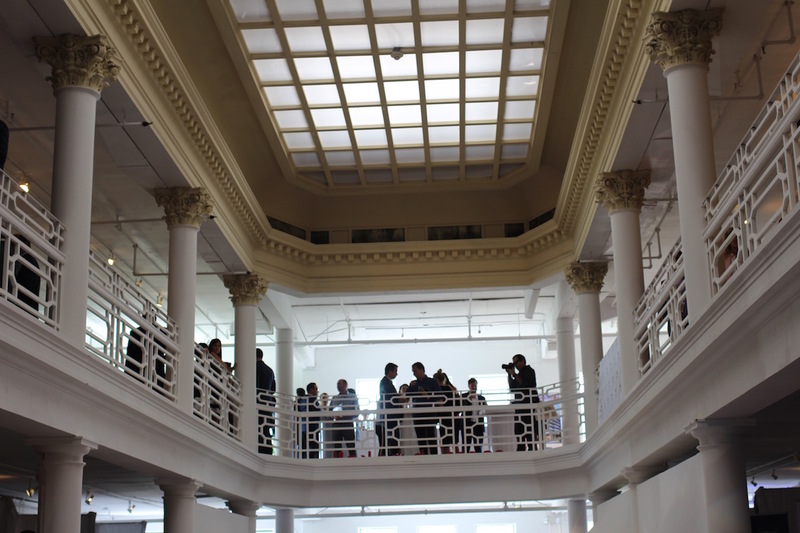 The beautiful Moore Building was built in 1921 as the furniture showroom space for Moore and Sons. Inside the Moore Building, preparing our booth for our presentation. 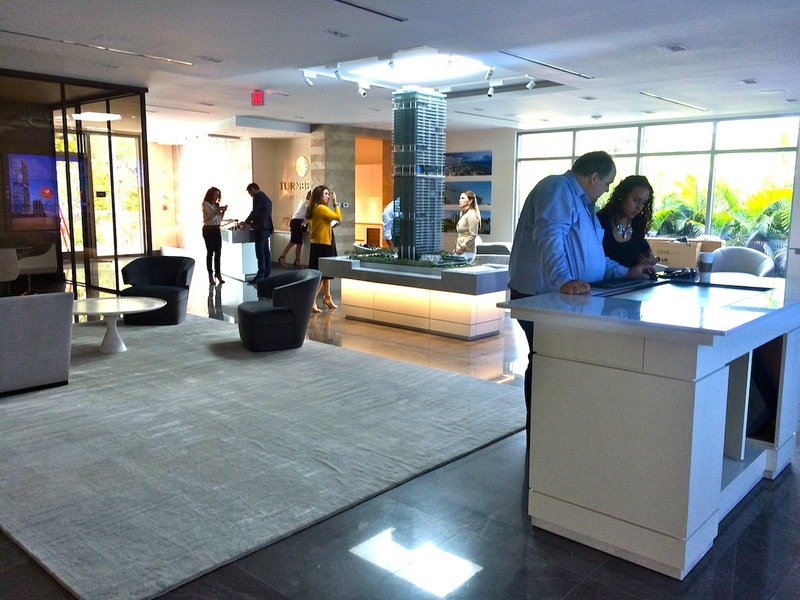 More than 4,000 real estate enthusiasts visited the Moore Building, according to the organization. The Design District looked even more vibrant that day. Having the Moore Building as work place for one day was a real treat. Smile! Gonzalo, Connie, Alejandra and Patricio ready to show the new ArXperience. Very good friends stopped by to say hello. With ArXperience you can walk inside the apartment of your dreams. This is the newest service that we are providing to our clients. We presented ArXperience among major developers. People showed a lot of interest in our Oculus rift ArXperience. The Real Deal was full of events and presentations. We are experts in 3D luxury renderings, and with ArXperience we are expanding our limits way beyond. Do you want to try ArXperience? We are proud of being pioneers in this new technology. 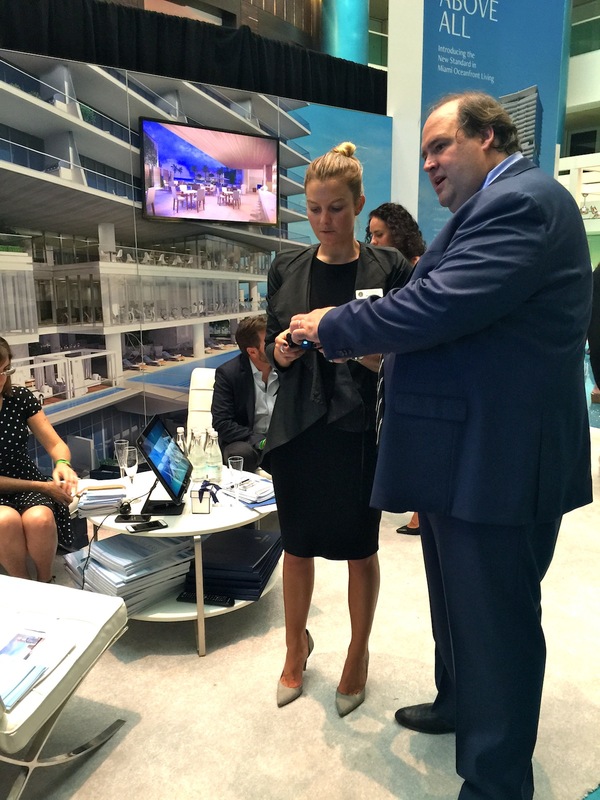 Many friends and clients stopped by our booth to see our 3D renderings. Nico and Patricio were busy showing our latest products. Connie, Patricio, Alejandra and Gonzalo. A view of the Moore Building. On permanent display in the atrium is the site-specific installation “Elastika,” created by Iraqi-born London-based architect, Zaha Hadid. Here you can see our screens closely. We were so happy to see many friends. It was as day full of action in our booth. 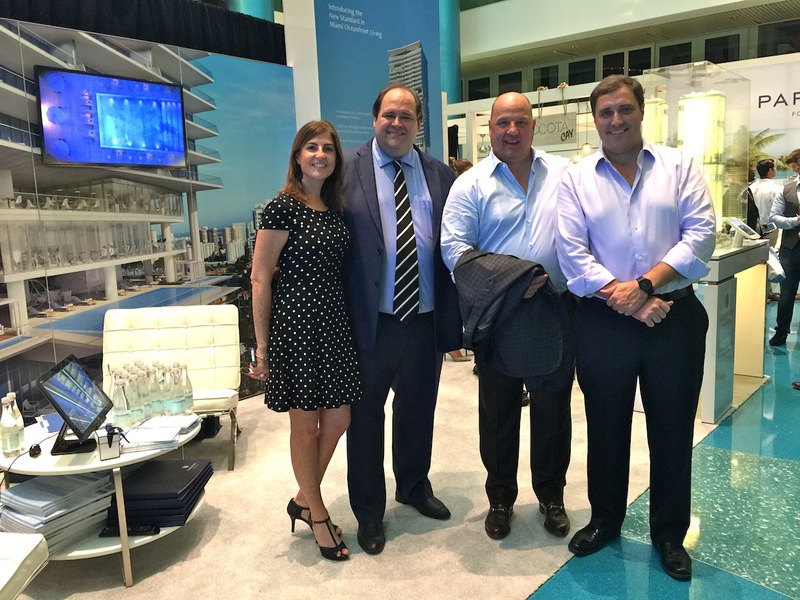 The real estate community gathering at The Real Deal’s South Florida forum and showcase. Thanks for coming to our booth! An intense, but productive day.